As wedding is a huge industry in western countries, anyone can expect to spend over $20,000 for a wedding. People run into debts and risk spoiling their marriages due to it for the sake of an over-priced wedding. 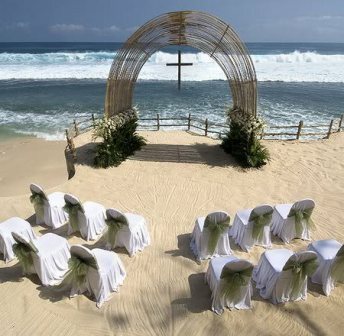 Therefore, one may think really is there any way to a cheap wedding? And yes, there is really! You need to carefully think over all the matters related to your wedding and together you should find out ways to cut the costs. There are people who have achieved this, so you too can. Nearly all the couples are so excited with the idea of their big day and the things to do on the day, that they just don’t think if they really can afford it. This is really incorrect. You should first find out and assess how much you can spend. Wedding can be made as much lavish and expensive as one can. There are many things arranged in the wedding which are really unnecessary. You can carefully consider the list of events you have planned out for your wedding and see which ones of them you can avoid. You will be surprised to see a big number of them. It may seem a bit odd, but the first thing you can cut down is your guest list! Make a guest list, you wanted to invite as a formality. Then consider each name and think whether that guest is worth inviting. You will find many of them who are not. E.g. a co-worker who you hardly talk to, a distant cousin you are not much in touch with, a neighbor staying four blocks away and meet you at the supermarket, and so on. I bet, these people will be happy that you didn’t invite them on your wedding. When you will tell them the news, they will happily congratulate you. In my opinion, your parents, living grandparents, siblings and closest friends are the only guests whom you should invite. Of course, you may have your own opinion, but remember to monitor the budget on priority. Next you can find out discounts for the venue. Avoid weekends and holidays, as the price of the venues is considerably higher on such days. Ideally times like Thursday nights are great, because you will have to pay much, much less and your guests will be happy to take an off from work on Friday as they will also get the weekend. Some venues even negotiate, so don’t hesitate to ask. Next thing you can cut down is food. Do you really like wedding food? At least I don’t. And I am sure many of you too don’t. However I am not telling you to keep your guests hungry. Instead of the usual lavish-looking but foul-tasting wedding menu, you can go out of the way and enquire with your favorite restaurant if they can supply food on a little larger scale. Many restaurants do that and at much cheaper rate compared to the typical wedding caterers. So, you and your guests will get real tasty food at much cheaper rate. Thus there are many aspects, like wedding invitations, photographers, dresses, and several others, on which you can cut the costs easily and still, have a very special wedding. You just need to seriously think on them and you will find a lot of ways to avoid going into debts because of your wedding.